It is a stand-up comedy open mic where comedians try out their jokes. 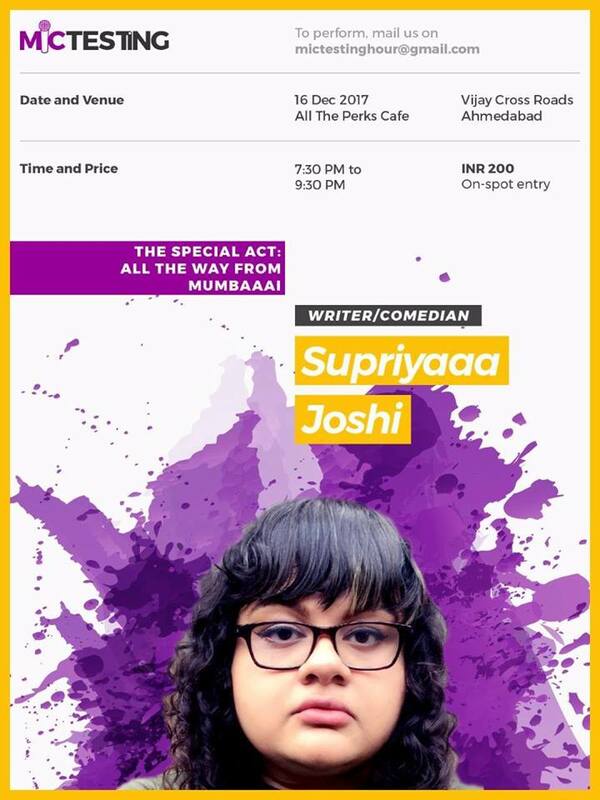 This will be headlined by one of the funniest comedians from Mumbai circuit, Supriya Joshi. Supriya, was a senior writing staff at All India Bakchod and has written one of your favorite and most viral sketches from the collective. You must have seen her in many AIB videos too.